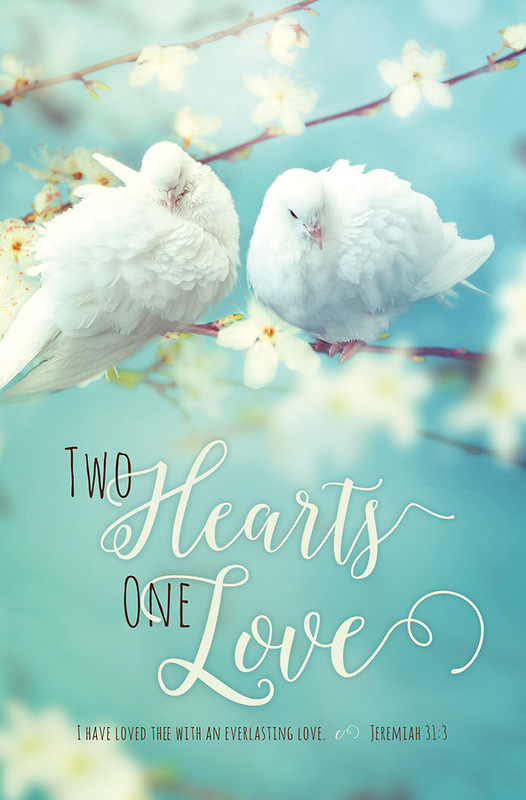 Two Hearts One Love regular size bulletin features two white doves and the Scripture verse: I have loved thee with an everlasting love. Jeremiah 31:3 (KJV). The bulletin is shown folded (8.5" x 5.5"), exactly as church members and guests will receive it. Worship bulletins arrive packaged flat 8.5" x 11" to fit into your printer or copier. The back side is blank, to include your personal information and wedding details. Shrink wrapped in packages of 100.